To organize monthly Filmmaker Gatherings to network and collaborate on projects. To coordinate screenings of Montana films in our communities and during the MINT Film Festival. We’re able to provide the above resources through donations, grants, sponsorships, and now, Society Memberships! MINT FilmSociety Memberships provide invaluable access to resources, gear, networking, crew/talent options, production support, and screening opportunities throughout the year. 100% of all membership dollars stay in the society and fund the above resources. The MINT FilmSociety is by filmmakers for filmmakers, always. We are proud to offer three membership options. 10% off all tickets and passes throughout the year. Including the MINT Film Festival. 25% off all tickets and passes throughout the year. Including the MINT Film Festival. 50% off all tickets and passes throughout the year. Including the MINT Film Festival. *Networking Gatherings are group meetings for filmmakers to network together and bring project ideas, scripts, and creative problems for discussion, feedback, and critique. Gatherings are a safe and confidential place for sharing ideas and improving professional development in areas of directing, writing, producing, and cinematography. 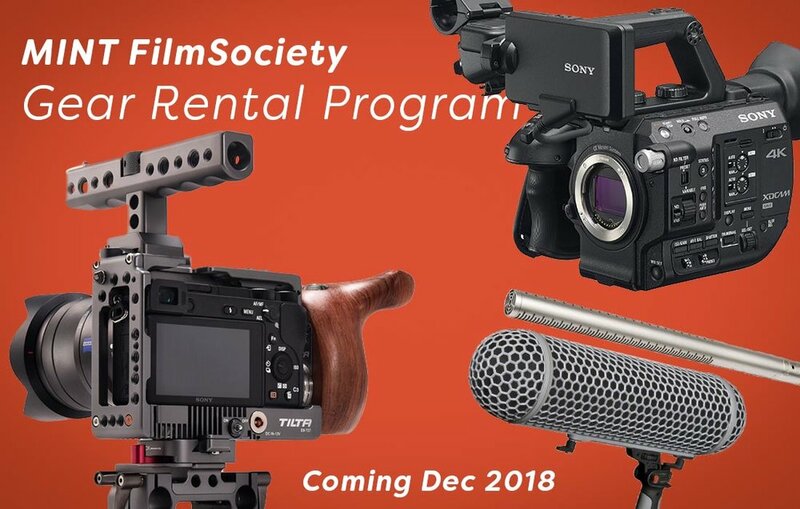 The MINT FIlmSociety Gear Rental Program is coming December 2018! This program will offer cameras, lenses, grip equipment, audio gear, and other production equipment to rent. Society Members will get 20-40% off all rentals, making production more affordable! A full equipment list, rental rates, and more details are coming in the next few weeks! Consider shooting in eastern Montana for your next film project! Create a free account with the Montana Film Office and list your professional services.